I’m thrilled that my poem Taf has been published in issue 3 of DNA magazine. I wrote it while visiting Laugharne in South Wales with my mum last summer. It’s a place we’ve often stayed as a family, and this was the first time I’d visited since Dad became too unwell with Alzheimers to travel. The issue hinges on the theme Locations, so a poem written with such a strong sense of place felt like the right submission. The town, its woods and the tidal estuary are full of reminders that Dylan Thomas lived there for a while, and this time it felt as though Dad’s ghost and Dylan’s were strolling together through every view. It’s a strange thing to grieve a person whose heart still beats. 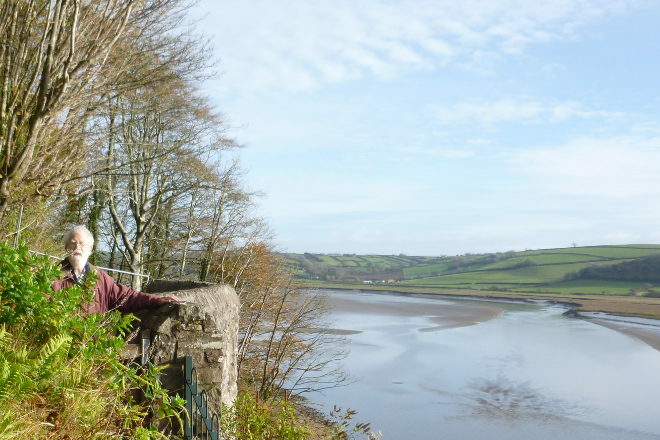 My poem Taf aims to capture some of that emotional conflict, as well as the beauty of Laugharne. You can read the poem here.